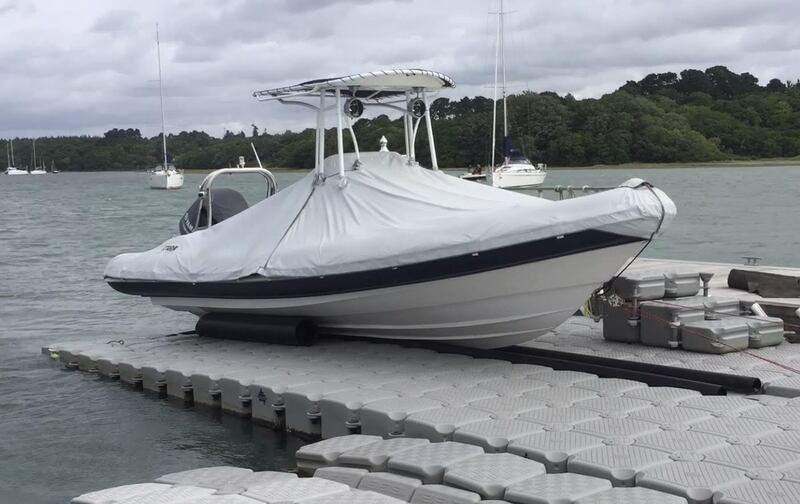 A VPS Air assisted Dock from Versadock was installed adjacent to the owner’s property in Beaulieu River. The dock will be used for his 8m Cobra RIB during the summer and then in the winter he will use it to keep a larger motorboat out of the water, while the RIB is stored ashore. The VPS air assisted dock was chosen because of its capability in accommodating vessels up to 30ft and 6 tonnes. Installation Method: The dock was pre-assembled at VersaDock's facility in Lymington and towed by RIB to the site where it was installed. How long it took: The straightforward installation took one day. The customer told VersaDock "Many thanks for everything. I'm really happy with the new dock."